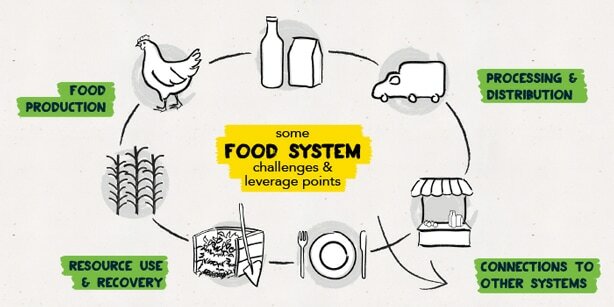 The food system includes all those activities involving the production, processing, transport and consumption of food; the governance and economics of food production, its sustainability, the degree to which we waste food, and how food production affects the natural environment; as well as how food affects health and well-being, including nutrition, obesity and food safety. 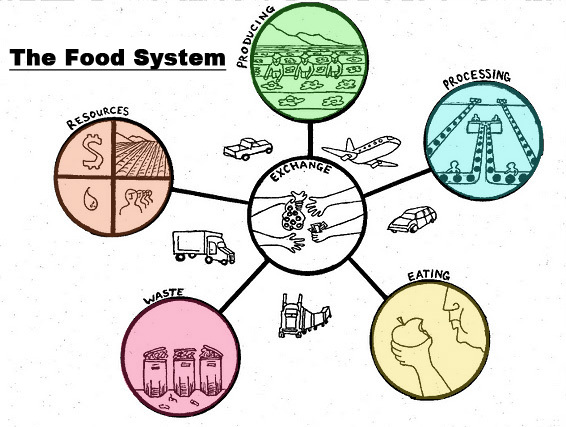 The food system is visualized in a great diversity of ways. Scroll to the bottom for more complex examples. Food systems change involves re-localizing, re-skilling, and re-connecting ourselves to the environment through food. Eating local, seasonal and ecological food helps us to regenerate the health of our bodies, families, communities, ecosystems, and local economies. Through the food system, multiple stakeholders and causes are linked, making it a prime area for collaboration and participation in sustainability transition, working simultaneously on environmental, social and economic goals. This image is from the Washington State University's Whatcom Food Network. 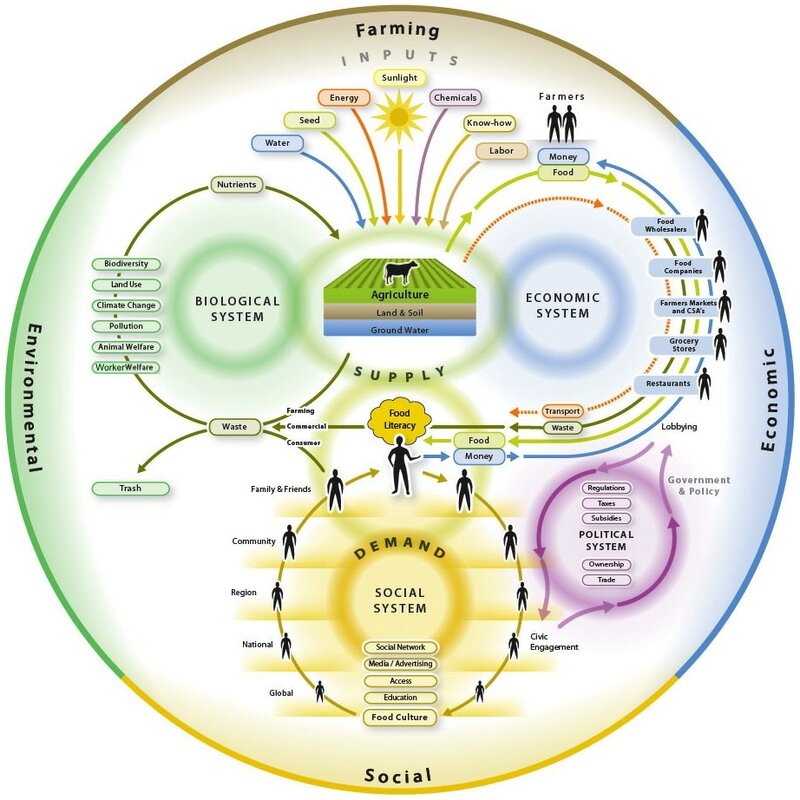 Find this richly detailed version of a food systems map in high resolution on the nourish website.